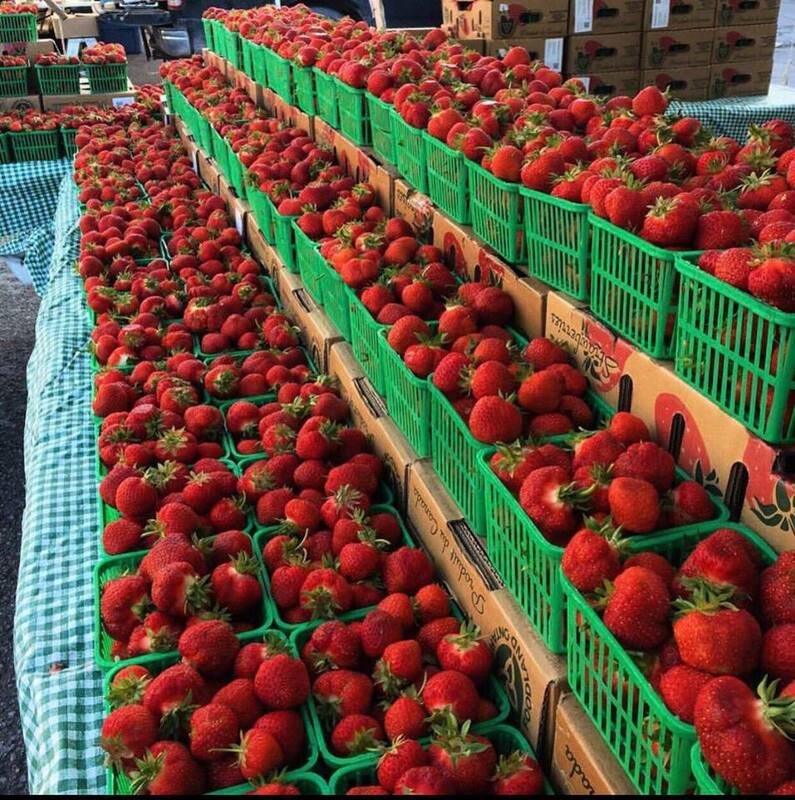 Buckhorn's McLean Berry Farm has been a staple at the Saturday Farmers Market in Peterborough since 1991—the year Jane and Sam McLean bought the farm, and started attending the market—but their existence at the market is now under threat after receiving notice they might be evicted. Indeed, they are one of seven local growers (the others are Circle Organic, Otonabee Apiary, Ashburnham Farms Gaelic Garlic, Finest Gourmet Fudge, Chef Marshal and Necessitea Elixir) who may be expelled from the market after allegations of disruptive behaviour that has hurt the market's reputation. In a heartfelt Facebook post that begins "Our farm is under attack....and we need your help" that is getting hundreds of shares, McLean's writes they are "shocked", "confused" and "hurt" by the possibility of being terminated from the market at a January 8th Farmers Market meeting that will determine their fate. "Just before Christmas we were sent a letter from The Peterborough Saturday Farmers’ Market (The Peterborough District Farmers Market Association Board) telling us (and the six other vendors) that a meeting and vote will be held on January 8th to terminate all seven of our memberships and our abilities to sell at the Peterborough Saturday Farmers’ Market. We are so proud to farm, and proud to be a part of this community and have the amazing local support that we do have. It fills us with joy to hear that people love our farm, what we grow and that they they’re able to access fresh fruits and vegetables at farmers markets. We are so grateful for all of the community support over the years, because it means that our family farm has been able to grow and that the next generation can come in and continue this legacy; however losing the ability to sell at this market is undermining our success as a local farm, and it’s undermining the success of local agriculture throughout our entire community. We don’t understand why our livelihood as a local farm who has been selling at the market for the last 27 years is suddenly in jeopardy. We don’t understand why speaking up and asking for openness, transparency, fairness and honesty has turned into wanting to remove us from the market." Erin McLean, who wrote the Facebook post on behalf of the family farm, tells PTBOCanada that the response to her Facebook post has "been generally phenomenal, if not a bit overwhelming." "We have so many messages of kindness and support—I've been in tears more than a few times reading the amazing things people are writing about our farm and their love of us and local farms at farmers markets and why these markets need to continue to support local farms." "We've also had a lot of questions, a lot of which we'd like to answers to as well and have been responding to customers who are asking questions as best we can," McLean tells PTBOCanada. "All that we've been asking for is openness, honesty, transparency and fairness for all market vendors and speaking up for farmers who have been similiarly targetted or removed in the past. We don't think that is too much to ask of a farmers market board." A petition #NoPinkSlips on Change.org has been started that people are being encouraged to sign that already has generated more than 4,000 signatures [UPDATE, December 29th: the petition has now reached more than 8,000 signatures]. The petition is meant to protect the rights of local farmers, and will be presented to Peterborough Saturday Market Board and City of Peterborough. As things stand now, McLean Berry Farm and the other six vendors will learn of their future at the market at the January 8th board meeting.